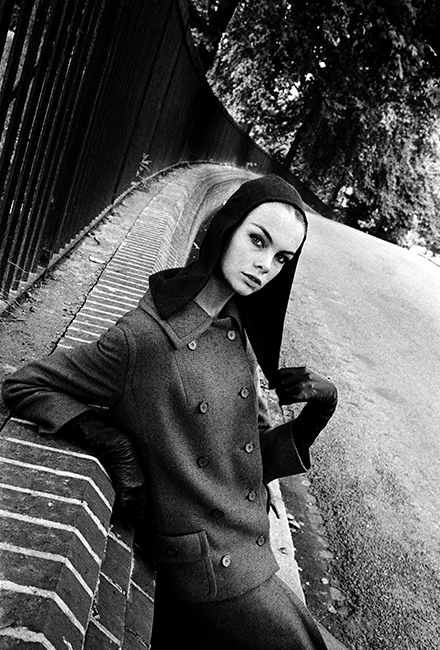 Jean Shrimpton photographed by Duffy for Vogue in 1962. This was the first shoot that Duffy did independently for the magazine outside of his contract which ended in September. Images from the session were published in the October issue. The article was to showcase clothing inspired by the film featuring Jeanne Moreau – Jules and Jim (1962). Quote ref: Z_0125_01 if you require press information regarding this image.